If a picture really is worth a thousand words, imagine how many words are conveyed from an intricately designed 3-D model. 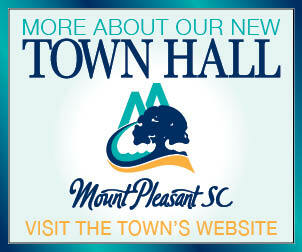 One talented Wando High School graduate was given the opportunity to make such a model of the new Mount Pleasant Town Hall – and she did not disappoint. Harrison Novak, a junior at Clemson when the new building was completed, was double majoring in her senior year at Wando: Art and Architecture, and Math, Science and Engineering. 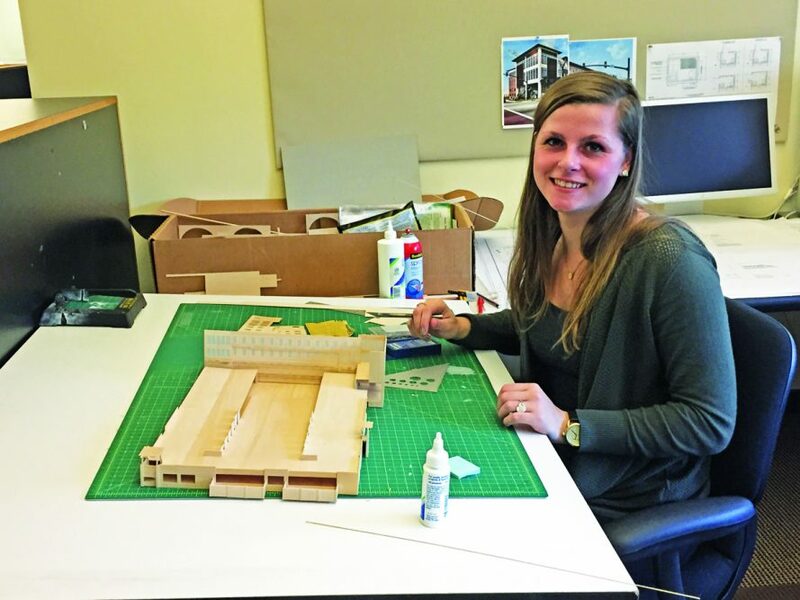 Through the school’s intern program, she had the opportunity to work at Stubbs Muldrow Herin, the architectural firm that designed the new Town Hall. 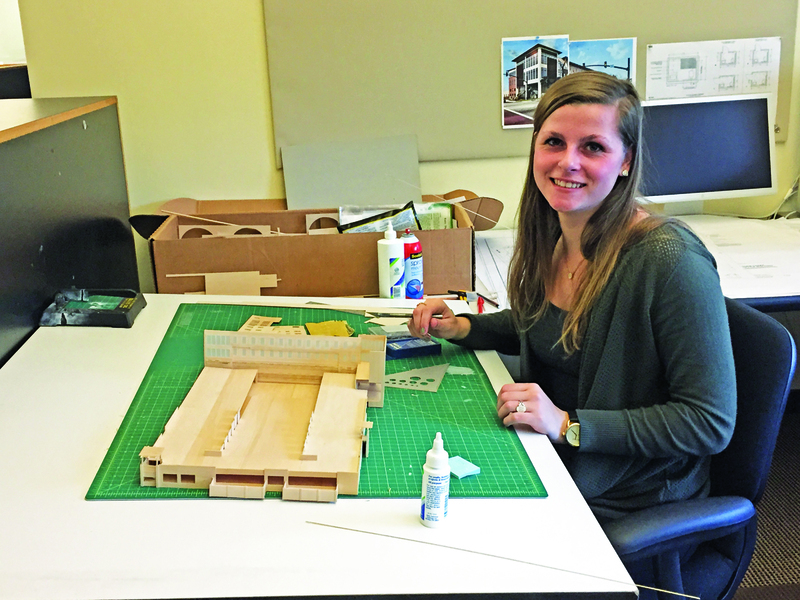 As one of her first assignments, she was given the task of creating a scaled site model of the much-anticipated project. With only drawings for reference, Novak worked for three months to complete the job, using materials provided by SMH. Novak said the intern program offered at Wando was extremely beneficial, and she felt fortunate to have been a part of it. “You really get the experience of working a real job and learning the proper etiquette that goes with that,” she said. The model was displayed at the old Town Hall beginning in early 2015. As construction of the new building neared completion, Novak said it was great to see the project come to life. Novak said she didn’t face too many challenges along the way, with a few exceptions. She said while it’s challenging, architecture is very satisfying work. The finished model impressed even the most seasoned architects. Sam Herin, one of the partners at SMH, said Novak surprised everyone with her innate ability to create a detailed model from nothing but architectural drawings.